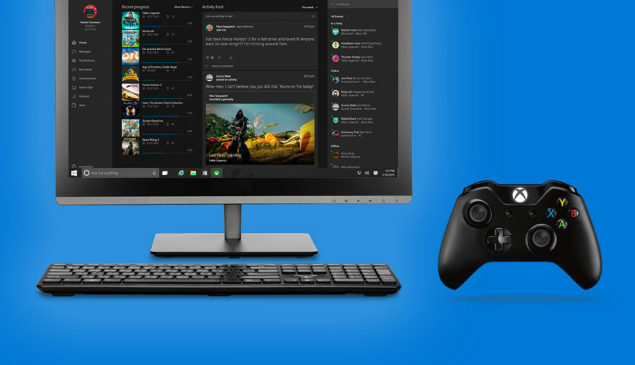 Due to new synergies between Windows 10 and Xbox One, gaming hours on Windows 10 have increased by 50%. Yesterday Microsoft released their financial results for their 3rd quarter of Fiscal Year 2016, and according to their report, Windows 10 gaming engagement grew by a large amount. While Microsoft reports that their Xbox One console is doing well, there’s also some good news regarding gaming on Windows 10. Microsoft reports that since last quarter, gaming hours on Windows 10 grew by 50%. In gaming monthly active users of Xbox Live grew 26 percent year-over-year, driven by the growth of Xbox One and Windows 10. Xbox One continues to outpace prior generations in both reach and engagement. At the same time we continue to create synergies between Xbox One and Windows 10 devices. Bringing top Xbox One titles to Windows store helped grow gaming hours on Windows 10 by 50 percent over last quarter. And starting this summer Universal Windows Apps will run on Xbox One making it easy to build applications and games that work across devices. Over the last months it has become clear that Microsoft has become more serious about PC gaming. Games that were previously stamped as Xbox One exclusive, have also appeared for Windows 10, and if Microsoft is to be believed, they will be bringing “top Xbox One titles” to Windows 10 as long as the PC platform suits the game. Microsoft has always stated that bringing Xbox games to Windows 10, gives the player “more choice” , and creates a larger community. However, recent Xbox games that were released on Windows 10 as well, suffered from serious performance issues. For instance, Gears of War: Ultimate Edition suffered from visual corruption, stuttering, and other visual issues. The recently released Quantum Break port isn’t performing very well either. Let’s hope that Microsoft finds a way to improve the performance of their Windows 10 games with players spending more time gaming on Windows 10.